Yeah, it's time to ring in the new year once again with the sound of four-strokes, quads, "Cars" and Big Rig diesel semi's all swirling up the dirt in South America... As this year's annual Dakar Rally kicks off this Sunday in Rosario, Argentina and arguably the world's toughest rally, some 5,825-miles long finishes thirteen days later on January 18th with this grueling trek providing only one rest day in-between its duration. thus what little I've gleaned is that Gordon will once again be the underdog while contesting this year's Dakar in a new slimmer smaller version of his terrorizing "Orange Crush" Hummer while apparently Baldwin will be running in a brand new 2WD 'PickEmUp truck as part of Eric Vigouroux Racing's two (truck) car entry. Meanwhile in the bikes' category, I recalled that last year rookie Kurt Caselli deputized for the injured KTM leader Mark Coma and thus naturally was looking for his name once again and obviously was saddened to discover that Caselli had died this November 15th whilst contesting the Baja 1000 - leading the event on his factory KTM bike with less than 100-miles remaining; as one report I've read claims his team discovered traces of small animals contributing to his unexpected death - which once again goes to show just how dangerous motor racing is, especially any form of two wheeled competition. Thus upon seeing the headline of KTM late entry Jordi Villadoms, I correctly 'ARSE-sumed he was Caselli'sreplacement, since as always, the show must go on, although interestingly this year will see KTM's fiercest challenge yet? As ex-Factory KTM rider and multiple-times DAKAR winner Cyril Despres has moved over to spearhead rival Yamaha's efforts aboard its potent YZF450. And another unknown Yank rider who I cannot find any info upon named "I'm Jeff, NOT Randy Quade," Hya! 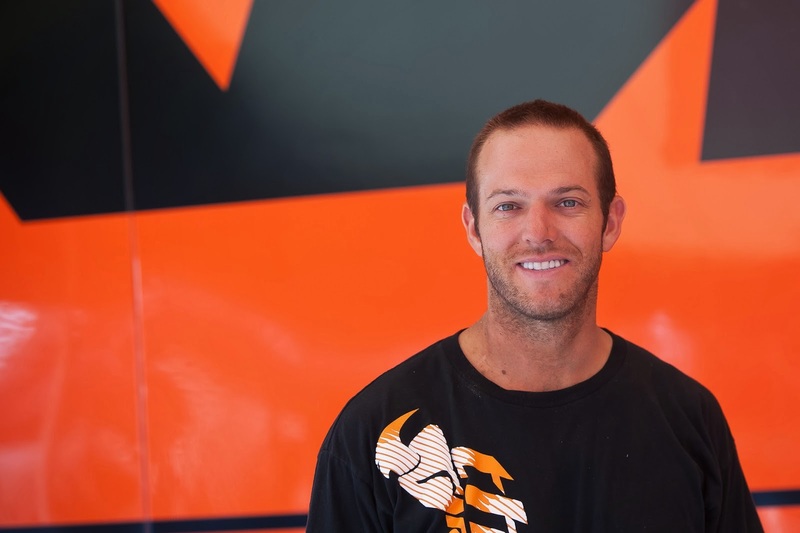 Is set to make his debutant Dakar outing this year aboard a privateer KTM450 for El Martillo Racing, a conglomerate of 'Kuhnaidiun's, Mexicans and American's, as rookie Jeff Quade makes up one third of the teams contestants who'll also field a buggy and Dodge Durango truck.